We are now seeing more Android hardware finally being treated to the Android Ice Cream Sandwich operating system, which was originally released back in October of last year. Today we have some good news for owners of the Sprint HTC EVO 3D as the Android ICS update is landing now via OTA. As we reported to you last month owners of the handset in other regions were already receiving the new operating system, and now as GottaBe Mobile are reporting owners of the device on US carrier Sprint are reporting that the software is arriving on their handsets. The carrier had previously promised the upgrade would be coming in early August, but it seems it has started to arrive early. Owners are reporting that the software is coming by means of an over the air update, and you should be prompted to install the update. Due to the size of the install users are advised to carry it out via a Wi-Fi connection as they can finally replace Android 2.3 Gingerbread. This upgrade should provide a number of bug fixes and improvements on the handset, but the handset is a little late to the Android 4.0 party. The HTC EVO 3D should become a much nicer smartphone once Android ICS has been installed, and the carrier will not be releasing anymore handsets that run on its 4G WiMax network. Currently there is no news about the HTC EVO Design 4G Ice Cream Sandwich update that was also down for an early August release, but you would have thought this should be arriving anytime now. 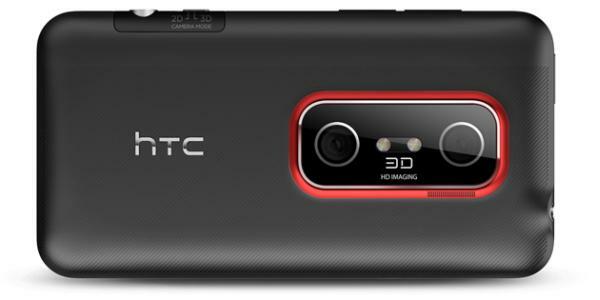 So if you have the HTC EVO 3D on Sprint keep a look out for the new operating system, and let us now when you receive it and what you think of it. its been cutting itself off and restarting since I downloaded the new update…with an odd buzzing sound.. not sure whats up- phone has been awesome until this new update.. not a full 24 hrs and the phone is not staying on!! try a reset through your phone settings. did you wipe your sd card and phone clean? that issue happened to me until i cleared my phone. “Server error” i want my old OS back.